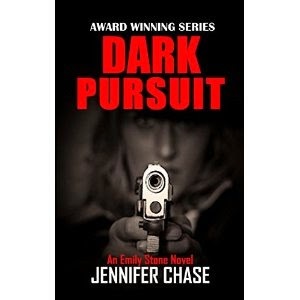 Jennifer Chase's "Dark Pursuit" is a thriller about Emily Stone, a vigilante dedicated to catching serial killers. The novel opens with a vehicle pursuit that immediately grabbed my attention, and the momentum of the plot carried my attention to the very end. Although this book is part of a series, there is enough backstory given to you in this book that you needn't read the others to enjoy it. In "Dark Pursuit," Emily and her partner and lover, Rick (a former detective), are hunting the Tick-Tock Killer, a serial killer who targets children. The killer has told authorities where the next body dump will be, creating a sense of urgency, which the author relays to the reader perfectly. I felt this sense of anxiety as I read, rooting for Emily as she squares off in a battle of wits with Tick-Tock. Chase writes a strong female protagonist, which is really refreshing in this genre. This is a must-read for anyone who wants a fast-paced thriller!